Sorry there are no shows for Notre Dame De Paris right now. The smash-hit French musical returns to London for 7 performances only, after touring in 23 countries worldwide in nine languages over the last 20 years. 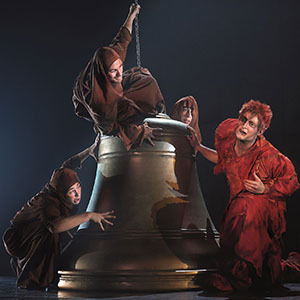 Based on the novel Notre-Dame de Paris by Victor Hugo, Notre Dame de Paris tells the story of the cathedral bell-ringer Quasimodo and his desperate love for the beautiful gypsy Esmeralda. 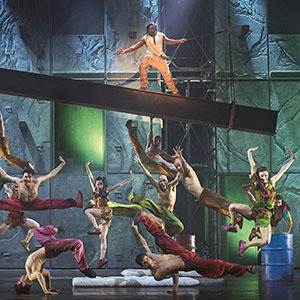 This stage spectacular features an international ensemble of singers, dancers, acrobats and musicians, as well as unforgettable music composed by Richard Cocciante, with lyrics by Luc Plamondon. 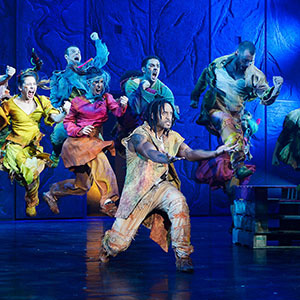 Cast members of the world tour will perform in London, including Angelo Del Vecchio (Quasimodo), Hiba Tawaji (Esmeralda), Daniel Lavoie (Frollo), Richard Charest (Gringoire), Alyzée Lalande, Idesse (both Fleur-de-Lys), Martin Giroux (Phoebus) and Jay (Clopin). Further casting will be announced in due course. LANGUAGE: Please note this is the original French production, sung in French, and will be performed with English surtitles.